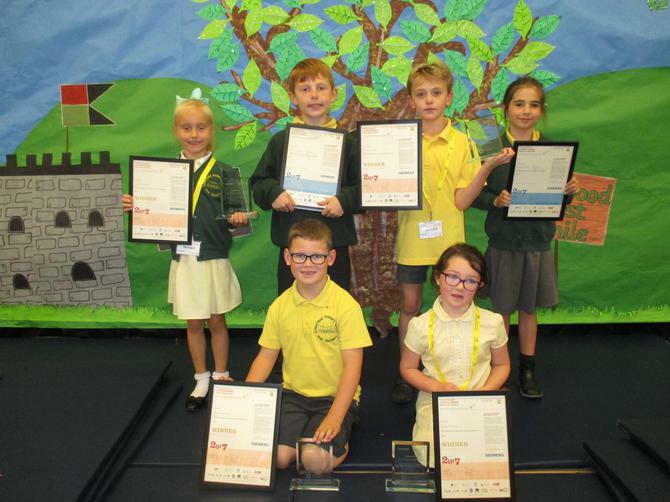 The whole school took part in a fantastic competition by Primary Engineering and were given the task to answer the question ‘If you were an engineer, what would you do?’ where each child had to think of a problem and come up with an invention or idea to solve that problem. 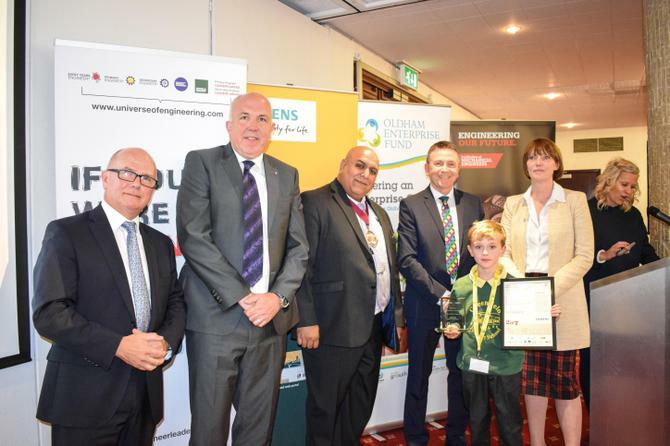 We then sent off all of our ideas to the Primary Engineer Competition and many of our children were shortlisted from 23,000 entries across the UK to 1500 entries. 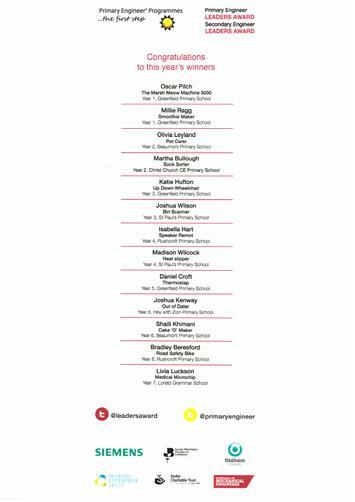 These were shortlisted by Engineers across the country. 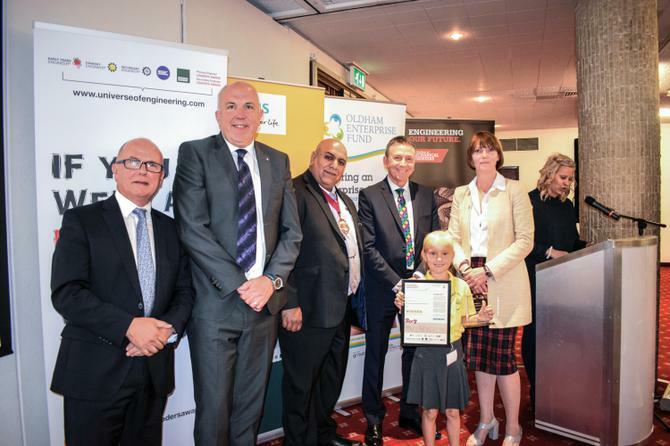 The area of Oldham then chose 13 winners in total and 13 Highly Commended entries. 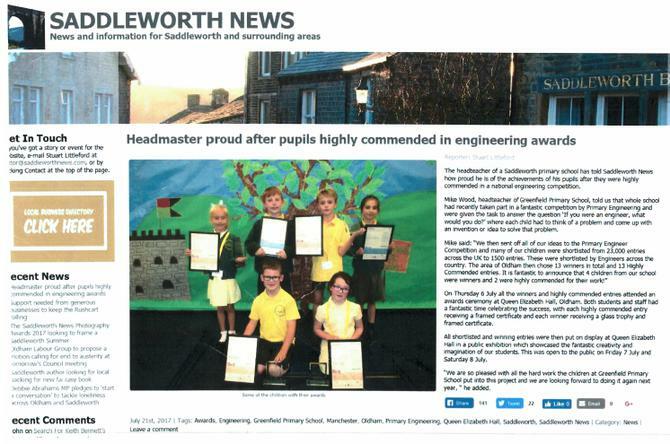 It is fantastic to announce that 4 children from our school were winners and 2 were highly commended for their work! 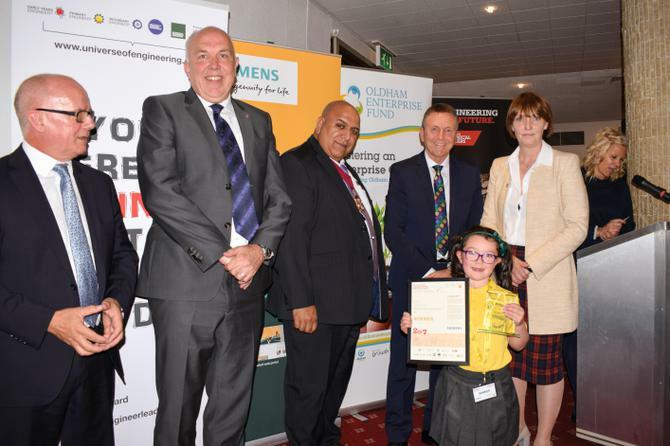 On Thursday 6th July all winners and highly commended entries attended an awards ceremony at Queen Elizabeth Hall, Oldham. 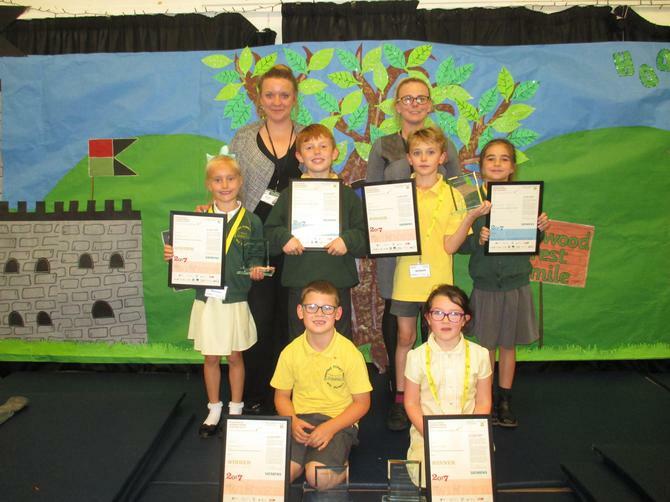 Both students and staff had a fantastic time celebrating the success, with each highly commended entry receiving a framed certificate and each winner receiving a glass trophy and framed certificate. 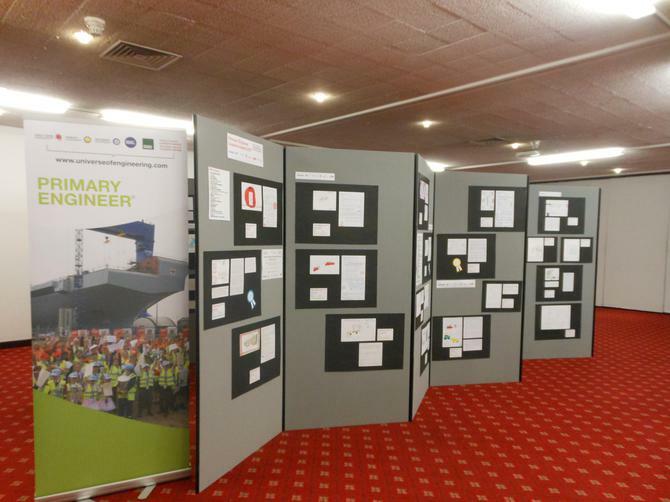 All shortlisted and winning entries were then put on display at Queen Elizabeth Hall in a public exhibition which showcased the fantastic creativity and imagination of our students. This was open to the public on Friday 7th July and Saturday 8th July. 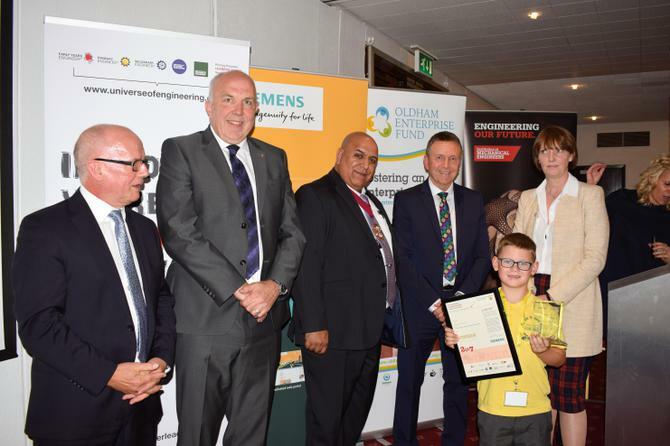 We are so pleased with all the hard work the children at Greenfield Primary School put into this project and we are looking forward to doing it again next year!